SE 28 Place and SE Pardee St. This site is near the school where the Reed Neighborhood Association holds its meetings. The school integrates children with hearing impairments that have cochlear implants with typical hearing children. The school has goats and chickens, and neighbors from all over come to see and feed them. 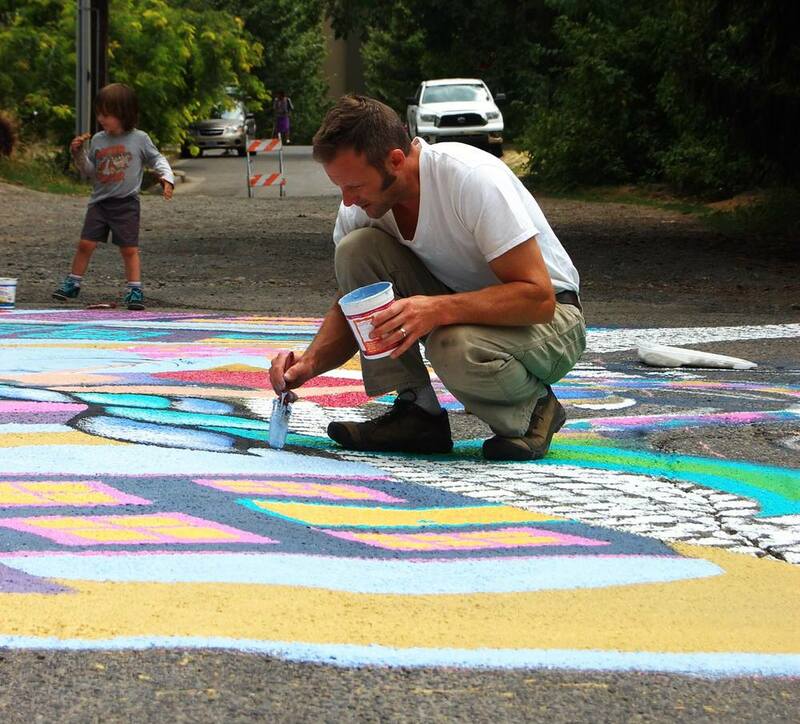 The placemaking project was designed with a kid-friendly spirit in mind. 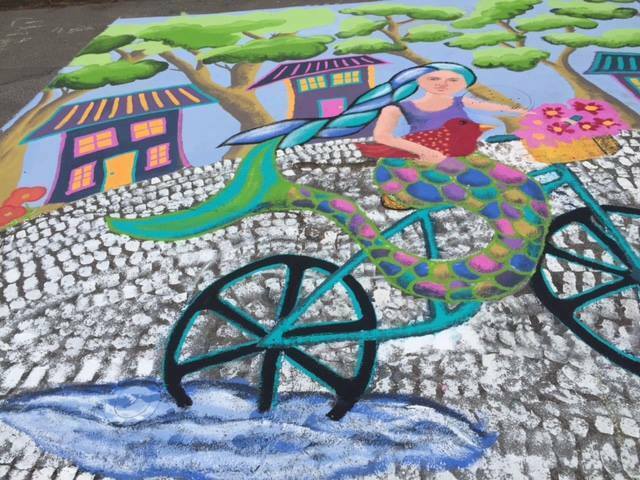 Hence, the beautiful mermaid riding a bike. The mermaid is riding South in the direction towards future mermaid installations. This mermaid is embarking on a journey throughout Portland that only future VBCs will disclose.